TS Wellness is a nutrition consultancy company founded by two local entrepreneurs last year. A local start-up wants to help companies combat climate change, boost corporate earnings, curtail disease, scale back the obesity rate and elevate the quality of life for their workers, saying it all comes down to what's on our dinner plates. 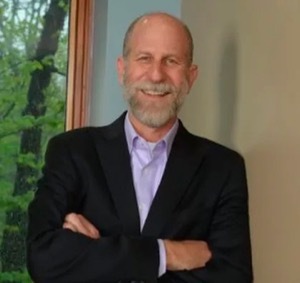 Launched in Dallas-Fort Worth in 2018, TS Wellness is a nutrition consultancy firm founded by 25-year corporate management veteran David Sholkoff and biologist Patricia Thomson, Ph.D., with the goal of improving people’s lives through better nutrition. This mission, they say, is part and parcel with bringing about tangible corporate returns and long-range environmental benefits. To offer a taste of their curriculum, the founders are hosting a plant-based cooking demonstration, Instant Pot 101, at the Richardson Civic Center on Feb. 23. The cost is $40. TS Wellness cofounder Patricia R. Thomson, Ph.D., is a certified nutritionist, experienced speaker, coach and consultant. Previously, Thomson worked in both the private and public sectors in organizations focused on human health and environmental protection. Sholkoff is a multi-degreed human resources professional who’s spent more than two decades in the Fortune 100 ecosphere. Their foray into the wellness industry came after they saw how nutrition research simply wasn’t reaching the average person in a meaningful way, says Sholkoff. Despite what we know about food and how it can either heal or harm us, we’re generally still not making the connection when it comes to what we put in our grocery carts. “There's been an increase in disease across this country, a decrease in productivity across organizations. And there's a need for people to begin to look at food as a way to help them increase their health and use it as a source of medicine - food as medicine,” Sholkoff says. Their foray into the wellness industry came after they saw how nutrition research simply wasn’t reaching the average person in a meaningful way, says Sholkoff. From speaking engagements and developing company wellness programs to cooking demonstrations and even in-house refrigerator makeovers, the two certified nutritionists work to transition clients from foods that cause pain to foods that heal. Illustrating his point, Sholkoff says almost everyone knows that putting on too many pounds is bad for the body, but in 2000, only one in five Dallas-area residents was clinically obese. By 2017, one in every three was too heavy, and projections indicate that by 2030, every other person will be. With obesity comes an elevated risk of disease and early death. TS Wellness cofounder David Sholkoff is a multi-degreed human resources professional. She points out that the Centers for Disease Control and Prevention shows that 45 percent of deaths by heart disease, stroke and type 2 diabetes in 2012 were attributable to poor dietary habits, and that heart disease and stroke are the number one and number three killers in the state of Texas. In the U.S. overall, $320 billion is lost every year just from healthcare costs and lost productivity from cardiovascular disease. In the next 15 years, more than 130 million adults - that’s just under half of the population - will have some form of cardiovascular disease with costs in the trillions of dollars. And it all comes down to what we’re eating. There’s a direct cost, both monetary and in the quality of life, for eating the wrong foods, says Thomson, so they hope to show to North Texas companies that they’re losing profits from a workforce that simply isn’t operating up to capacity. Their mission is not just about workforce efficiency though. Thomson says her personal motivation for spreading the word about the link between nutrition and being well comes from watching her father suffer from heart disease and die after quadruple bypass surgery. 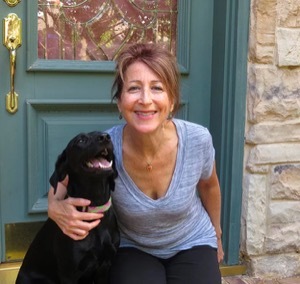 Diagnosed 10 years ago with the same high blood pressure and out-of-control cholesterol numbers herself, she was immediately placed on medications and told there was nothing else she could do. That’s when the scientist in her went to work, researching her condition and finding out there was indeed more she could do. It was later in Thompson’s new career as a nutritionist that she and Sholkoff became associated. Sholkoff’s wife attended one of Thomson’s cooking classes, and they began to envision how the message of better-health-from-better-eating could be taken to a broader audience, so they formed TS Wellness. Whether developing a corporate wellness curriculum, teaching cooking classes and even accompanying clients on grocery shopping trips, Thomson and Sholkoff work to bring the good news about the healing powers of a minimally-processed, whole foods diet within reach of everyone. “We believe in transitions, in gradually adding things into people's meals and not taking away so that over time they will actually prefer eating healthy and feeling better when they do eat a healthy meal. And they'll realize the difference in their health as they go down this journey,” Thomson says. “We believe in transitions, in gradually adding things into people's meals and not taking away so that over time they will actually prefer eating healthy and feeling better when they do eat a healthy meal." Their recommendations boil down to choosing plant-based foods and ingredients. Sholkoff says that’s because plant-based foods are both nutrient dense and non-inflammatory. As opposed to a diet of heavy meat consumption, plant-based foods provide anti-aging compounds and cancer fighting nutrients that go a long way for keeping us free from disease, Thompson says. “Fiber is only found in plant products, and fiber is extremely important in keeping our bodies regular. Fiber acts as both a sponge and a plunger." Sholkoff and Thomson say their focus is solely on their clients’ health and wellness, yet they’re happy to tout the environmental benefits of their recommendations as well. By shifting our diets toward unprocessed, plant-based foods, we’re reducing our dependence on an industry that's a major source of greenhouse gases and water pollution, they point out. “Animals raised for food create 89,000 pounds of excrement per second [in the country] and this waste is not treated and is a major source of runoff. This has resulted in the pollution of over 35,000 miles of rivers in 22 states,” she adds. And keeping the natural world pristine has its own benefits to health and wellness, they say. Humans need the respite of calm, quiet places, and their message goes beyond just checking Fitbit numbers when evaluating their client’s progress in staying well, Sholkoff says. 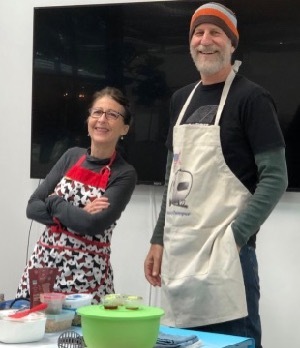 About: The Lazy Guy and Gal, David Sholkoff and Patricia Thompson's alter egos, are hosting a cooking demostration next month. Learn how to make easy, healthy recipes all in your Instant Pot.